Dimensions: 30 in. 59 in. 20 in. 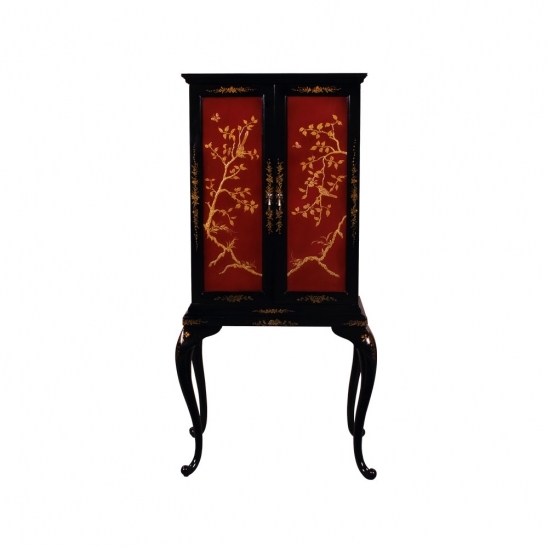 Small Jewelry cabinet in chinoiserie style. Made of mahogany. 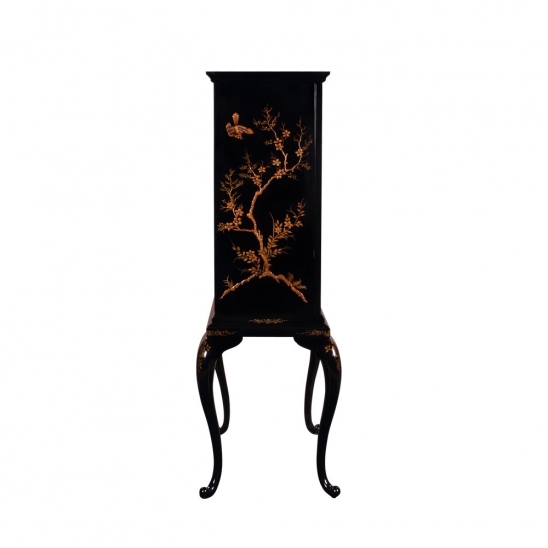 Inside 3 wooden shelves with velvet bottoms that can be pulled out. 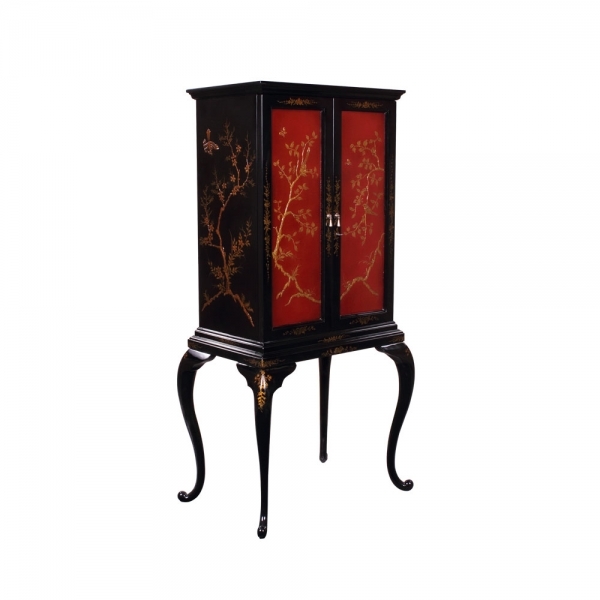 Chic by Janssen furniture designs are based on traditional masterpieces and made from high quality materials. Our retail stores located in Toronto in the heart of the Castlefield Design District and Beamsville, Ontario, are the newest installments in our on-going passion–helping our clients pursue the refined elegance of European inspiration in their own living spaces. Website Design and Development By: Local Website Design Inc.